Mexican star Carlos Vela scored a brace as Los Angeles FC defeated Houston Dynamo 4-2 in a match delayed by lightning on Friday. 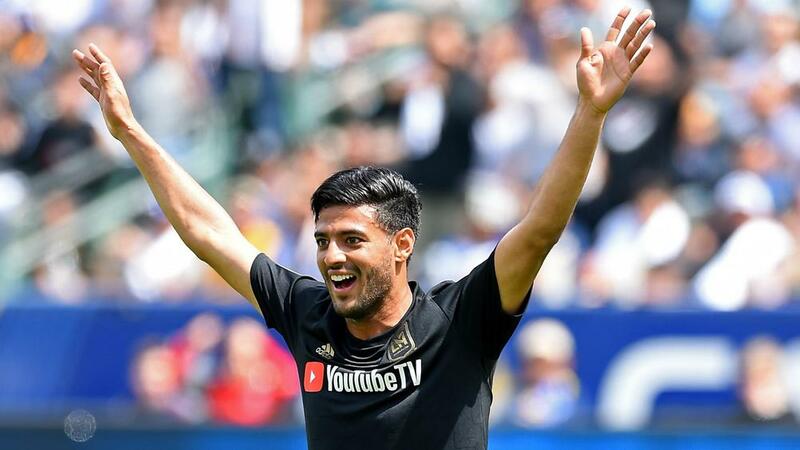 Former Real Sociedad forward Vela netted twice in a weather-interrupted MLS clash to boost LAFC's hopes of a top-two seed in the Western Conference. Houston – who are already out of the playoff picture and lost 4-1 to Seattle Sounders on Monday – were leading 1-0 through Mauro Manotas' 33rd-minute opener when lightning around Banc of California Stadium halted proceedings three minutes. After a delay lasting almost two hours, LAFC equalised thanks to Vela's penalty on the stroke of half-time, having been fouled by Dynamo goalkeeper Tyler Deric. Vela then picked out Adama Diomande with a cross eight minutes into the second half before Walker Zimmerman made it 3-1 for the home side five minutes later. A Vela chip added some gloss to the scoreline with 12 minutes remaining, while Houston's Andrew Wenger reduced the deficit shortly after. The victory saw LAFC move up to second in the west, a point behind leaders FC Dallas and three ahead of Sporting Kansas City.